Hello guys, here is one of the classical programming questions how do you find the length of a linked list using recursion and without recursion. This is not the about the LinkedList class of Java API but the linked list data structure which is made of nodes which contains both data and address of the next node. 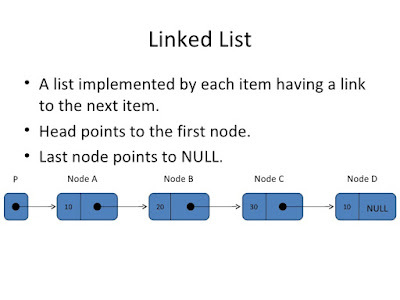 In order to calculate the length, you need to count all nodes in the linked list. Since it's a singly linked list you can only move in one direction from the head to tail. This coding problem was asked to me on my first interview with a multinational Investment bankAfter that, this question has been asked to me on several occasions in other Programming Job Interviews as well. What makes this question interesting is that Java developers are not that great with the data structure as compared to a C++ developer which is obvious because of the fundamental difference between these two languages. The C++ is more of system programming language while Java is more on application programming, also a rich set of Java API allows the programmer to skip this kind of basic programming techniques. By the way, if you are preparing for programming job interviews and looking for more coding or algorithm based questions like an array, string, or other data structures, you can always search this blog. I have shared a lot of questions in this blog on over the years. If you like to read books then you can also take a look at Cracking the Coding Interviews, which contains 189 Programming Questions and Solutions. One of the best collection of coding questions for beginners, intermediate, and experienced programmers. It contains questions from both fundamental and advanced data structure like a doubly linked list, binary trees, self-balanced trees, and binary heaps. Btw, if you are not familiar with essential data structure then I suggest you join a good course like Data Structures and Algorithms: Deep Dive Using Java on Udemy, it's one of the best course to learn and master data structure and Algorithms. Even if you know data structure, this can be used to further strengthen your knowledge. Anyway let's come back to the question, everybody knows that in the singly linked list is the last element will point to "null" element, So the first answer would most of the times be "I will use a counter and increment till it reaches the end of the element". Once you reach at the end of the linked list, the value of counter would be equal to the total number of elements encountered i.e. length of the elements. Here is the sample code to implement this algorithm, you can use the linked list implementation given in this article for understanding the purpose. We are assuming the linked list class hold reference of the head, a pointer which points to the first node in the linked list. To learn more about linked list data structure, you can pick a good course on data structure and algorithms like Algorithms and Data Structures - Part 1 and 2 on Pluralsight. In this solution, we are just going through the entire linked list, one node at a time until we reach the null, which is the end of the linked list. If you answer this question without any difficulty most interviewer will ask you to write a "recursive" solution for this problem, just to check how you deal with recursion if your first answer would have been recursive they will ask you to write an "iterative solution" as shown above. Btw, if you are preparing for a Programming job interview, it's important to refresh data structure and algorithms before interviews. I suggest you to check out the Data Structures in Java: An Interview Refresher course on Educative to do well on your interview and practice more linked list based coding questions. This is a much more concise then Iterative solution but sometimes it's not easy to come up with the solution if you are not familiar with Recursion, but if you do then it's very easy. You can see that we have used the fact that the last node will point to null to terminate the recursion. This is called the base case. It's very important to identify a base case while coding a recursive solution, without a base case, your program will never terminate and result in StackOverFlowError. This example to find length of linked list can also be extended to solve problems like how do you find middle element of linked list in Single pass or how to you find nth element from last in linked list in one loop. key here is to use two pointer one incrementing one at a time while other incrementing two at a time. Just wondering why the interviewer asks these kind of questions when we have an size() method to get the size? Even i wonder why they ask this question. Java LinkedList is doubly Linked List. Java LinkedList is indeed Doubly linked list implementation of List and Deque interface in Java, as stated by Java doc. 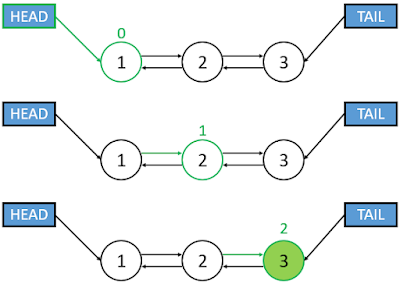 The do have two pointers first and last to point at both end of linked list. Can you write a generic implementation of Singly linked list in Java? why recursive method doesn't work? @Anonymous, you can find a generic implementation of a Singly linked list in Java here. Does this program is also the solution of question "How to find length of linked list in one pass"? I am not sure, please clarify.